You are currently browsing the tag archive for the ‘Defoliation’ tag. The tree below is another that was heavily infested with pests. It was infested with Whitefly which in turn had led to sooty mould. Again, in the last garden it was growing in it was almost impossible to control the fly as every time I would spray the tree it would be re-infested a couple of days later. As a result of the infestation each leaf that was on the tree had a hundred or more eggs laid underneath it. 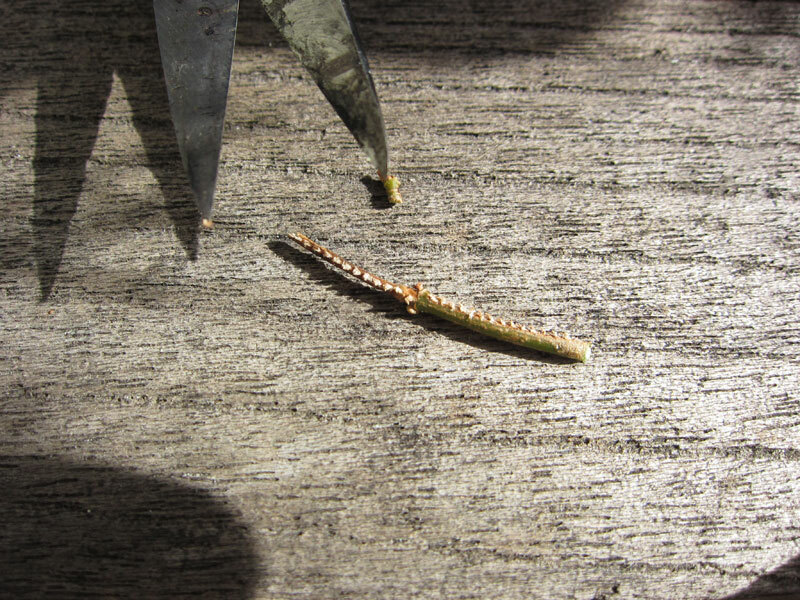 Because of this I wanted to defoliate just before leaf drop so I was able to collect all the leaves and destroy them. 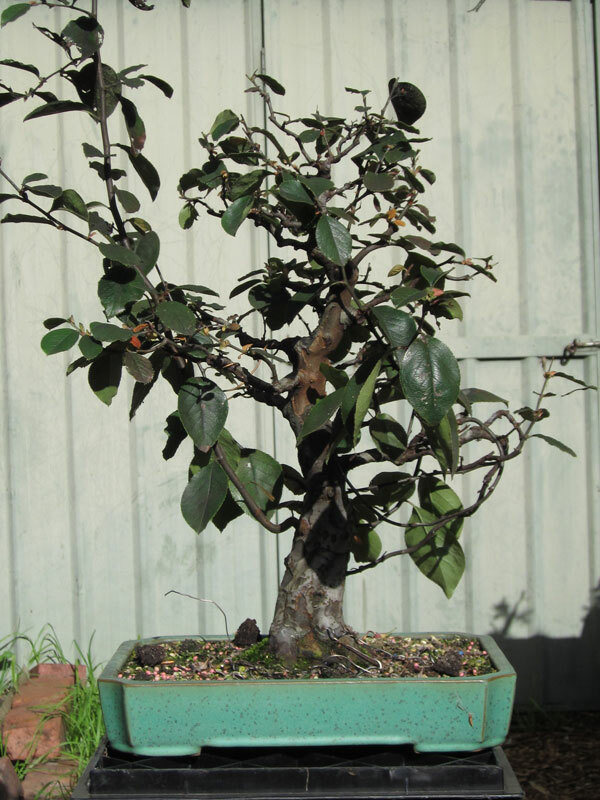 The Quince before defoliation. You can see how damaged the leaves are from the whitefly. This is my only quince and since I have owned it I have fallen in love with the species. 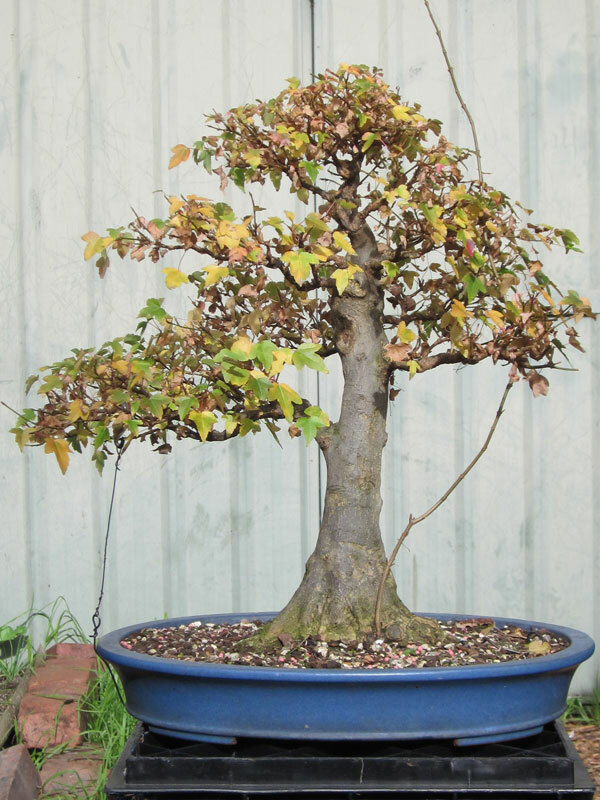 It grows strongly, approach grafts easily, and buds back well. It also shows great colour in autumn (should you not defoliate it too early such as I did this year) and also gives a display of flowers followed by fruit. The bark is also very attractive. 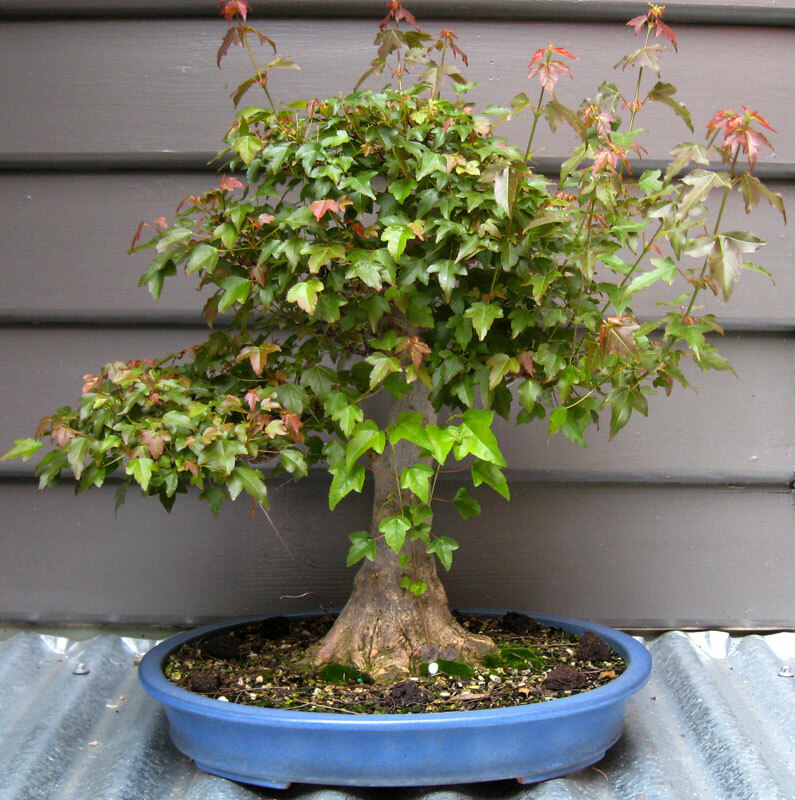 When you add up all these positives you get a species that makes a great bonsai candidate. 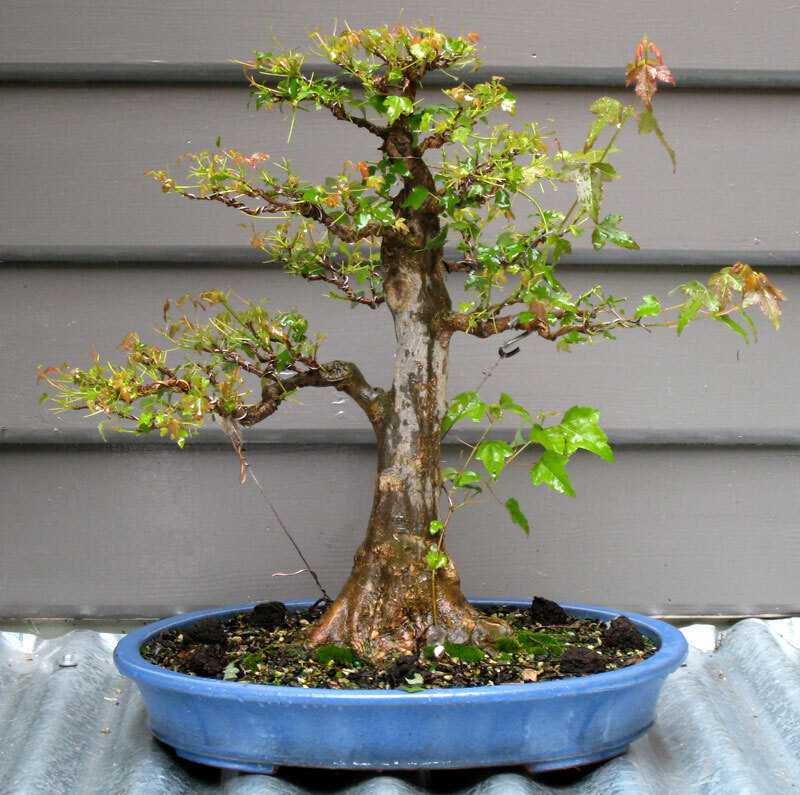 After removing the infested leaves. As you can see from the above image, the tree is still very much in the developement stages. 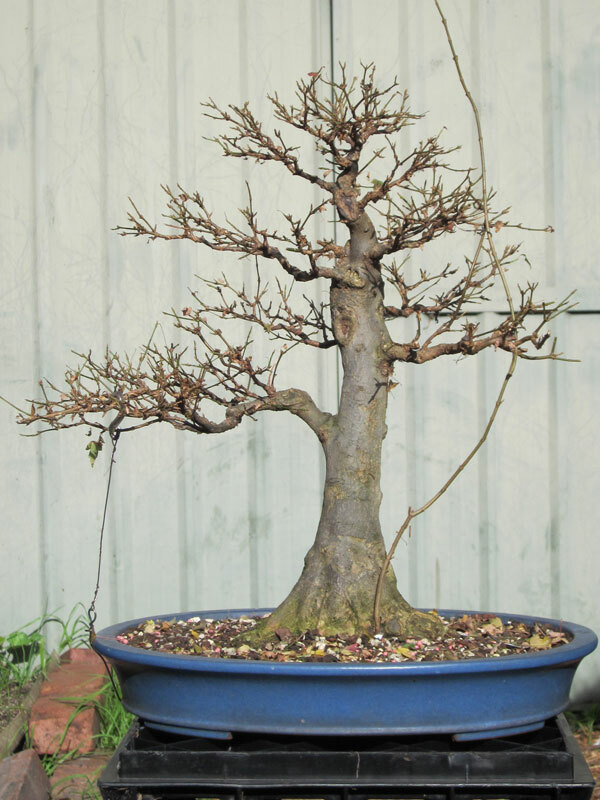 I am in the process of approach grafting a number of branches onto the trunk and am also trying to develop a new first branch. 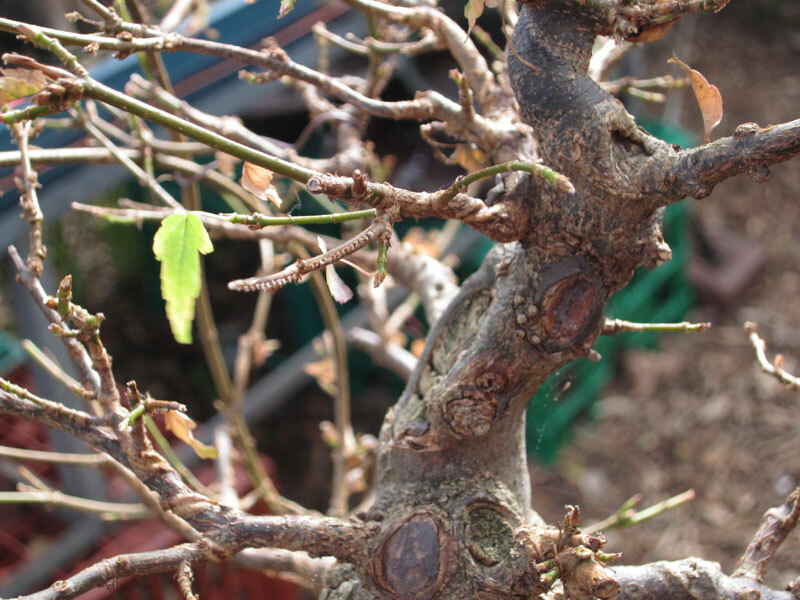 The second branch is where most of the whips for the approach grafts are taken from, which explains the looped twigs. 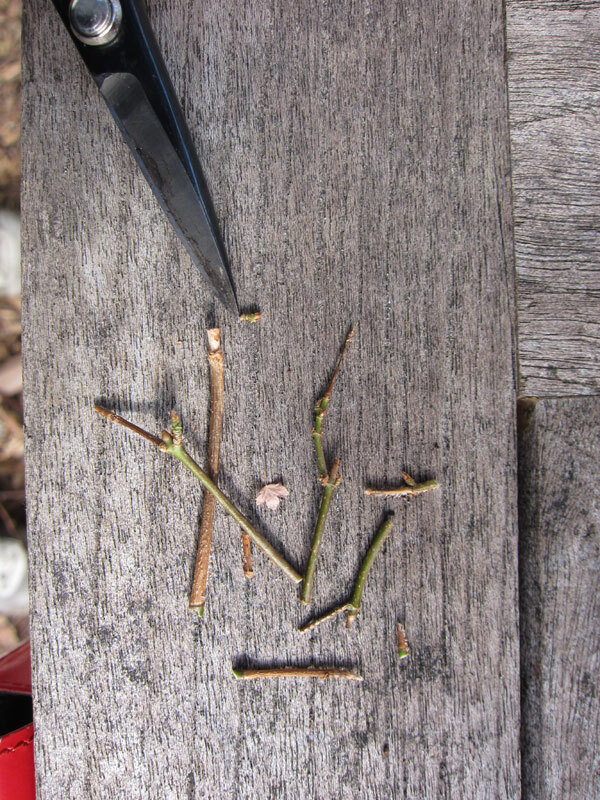 This last summer I was able to graft 4 new branches but 3 still need a little more growth before they can be cut from their parent branch. This coming season I hope to graft a couple more. For those of you wondering what pot the quince is in, it is a pot by Yamafusa. Yamafusa although not really high-end, is one of my favorite tokoname potters. 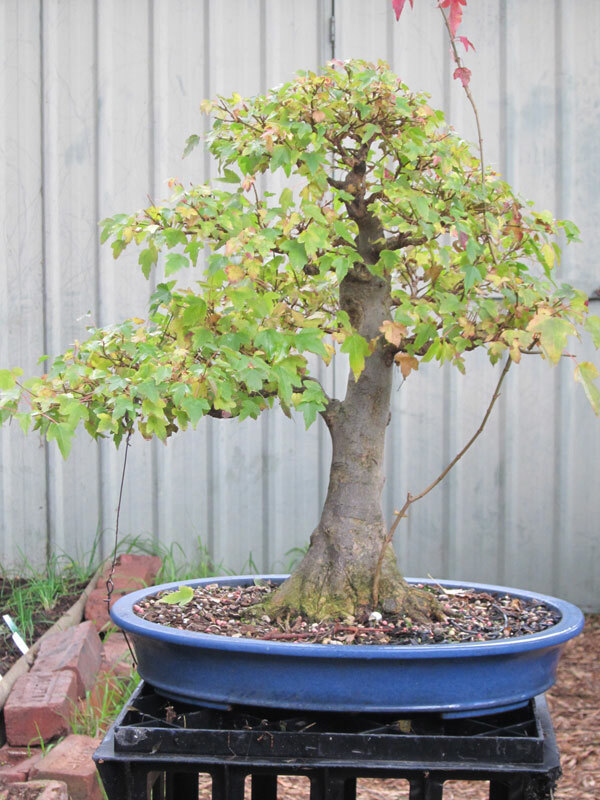 Their green glazes are very beautiful and suit a wode range of deciduous trees and although at the cheaper end of the price scale their pots are great quality. 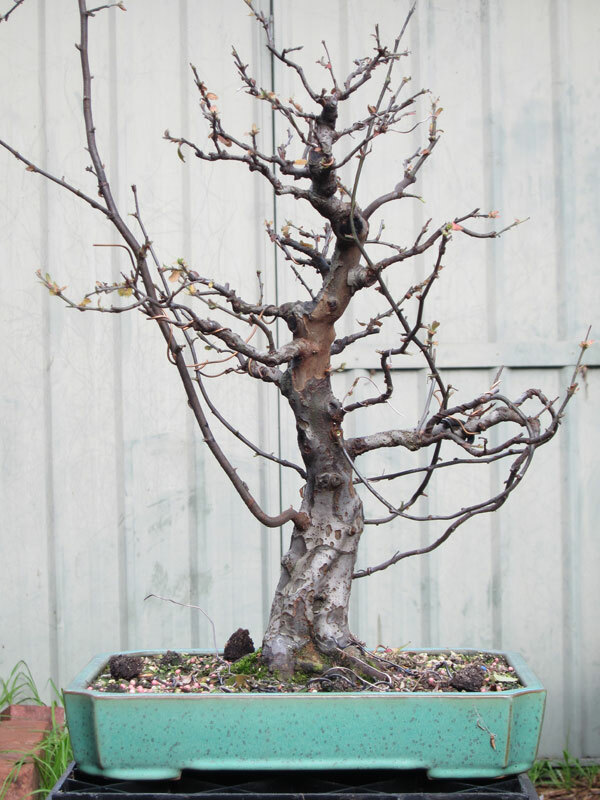 After I defoliated this Quince I also sprayed with lime sulphur in the same way i did with my trident maple. Hopefully this will kill any remaining insects and leave it pest free come spring. Fingers crossed.